Secure messaging, file sharing, voice calls and video conferences. All protected with end-to-end encryption. 30-day free trial of Wire Pro. No credit card required. With Wire, your teams are immediately more productive. 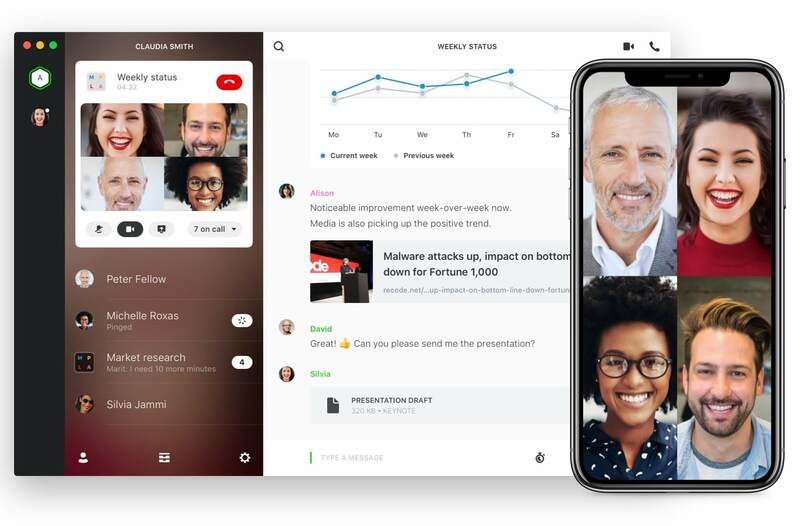 Switch from group chats and file sharing, to HD video calls and crystal clear conference calls with a single click — without ever leaving the security of Wire’s end-to-end encryption. Communicate securely with clients and partners — even if they don’t have a Wire account. Create an encrypted guest room in seconds. Send an invitation link and partners can join with a click — nothing to download, no registration required. Wire Pro is for organizations that need maximum security in an easy-to-use solution to protect communications across teams, and with clients and partners. No more hopping between file sharing, conferencing, and messaging apps. Wire keeps everything safe in one place, making it easier to control and audit your data, and stay compliant with regulations such as GDPR. People like workplace tools that are easy to learn and simple to use. IT teams want guaranteed security, robust administration tools, and full control. Wire offers a perfect blend between ease of use, control, and security. 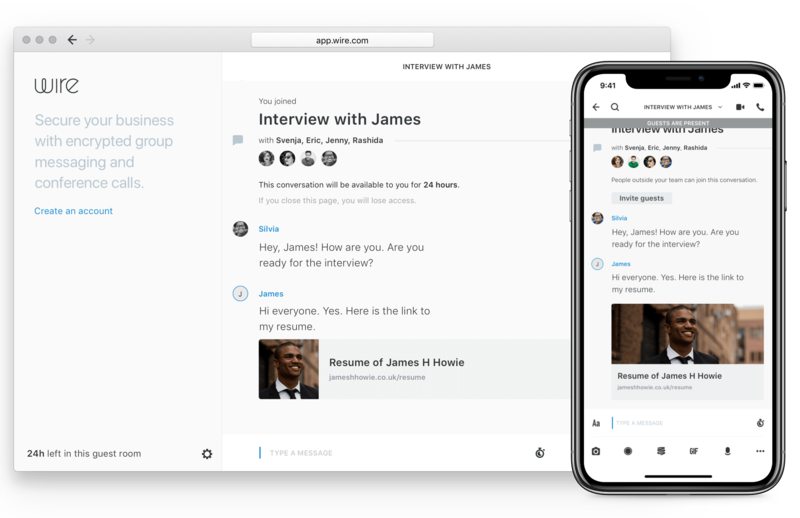 Wire is built to scale to tens of millions of users, and with the right administrative tools. Ready for ISO, GDPR, and SOX. 100% open source, and independently audited — with an option to be tested against your existing security and governance frameworks.